When should you start charging brands for posts? One of the concerns people have when blogging, including myself in the past, is when to start charging brands for sponsored posts. With many brands offering 'exposure' as compensation to bloggers in exchange for reviews, social media coverage and back-links, working with brands for free is a great way to start off, to start building up your media-pack or portfolio and of course get some practise, but when should you make that decision to start asking for payment? The answer is: when you feel confident. If you think about blogging like a business, you've got to value your work before brands place value in you. If you go through your blogging days accepting product after product and the old 'exposure' as payment, you're going to get in the habit of doing this. Personally, I could've started charging brands a year or so ago, but it's taken me a while to realise that I'm actually providing a service to a brands' PR & Marketing department. What you're doing when you photograph those flatlays, write your article and promote on social media is providing them with content marketing. You're technically doing freelance work. You need to be charging brands for this as it's only by bloggers valuing themselves on a wider scale that brands will begin to take bloggers seriously, as opposed to just giving bloggers a retweet and expecting them to be happy and grateful for that. Of course, if you enjoy blogging as a hobby, and the free products are more than enough to keep you happy, then disregard this post and carry on enjoying what you do, but if you're reading this I presume you're here because you want to know whether you should charge brands...and the answer to that is you certainly should be. Don't be afraid to ask a company for payment, don't undersell yourself - factor in the costs of how many hours you can expect to spend on working on the article and related promotion. Don't think about the product as counting towards the payment, the product is a tool you need to get the job done efficiently. 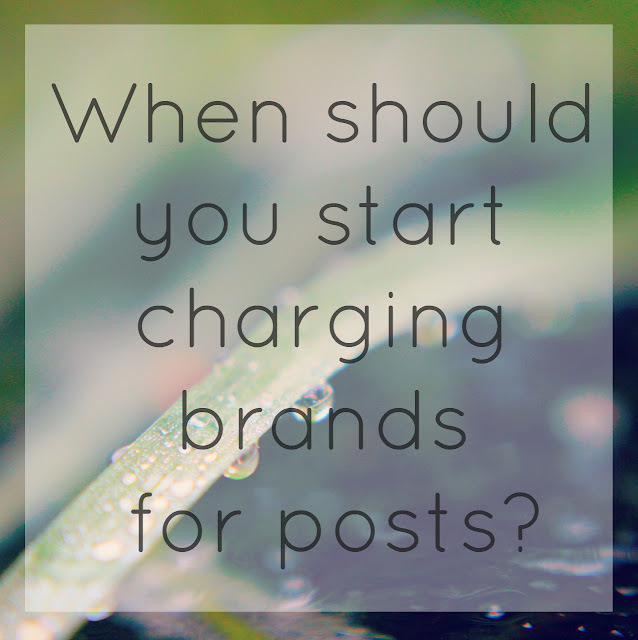 The higher your readership and engagement, the higher you can begin charging brands, and there's no real definitive answer on how much you should be charging - other than what you think you're time and effort is worth. Personally, I'll charge a brand around £20 for a review/feature and I feel this is a fair price for what I'm offering - at least four hours of my time, 2000 readers a month, and a 2500+ reach on social media. As my readers increase though, I'll begin to increase the price of each hour I spend working. At the moment I charge £5 per hour, but when my readership goes up to about 3000 a month, or my social media reach increases, I'll raise this to about £8-£10 per hour. That's just an example, and there's no real clear-cut way of charging, as blogging is such a recent line of work, but the key to success is in the value you place in yourself. 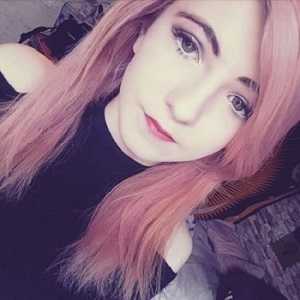 Again, if you don't want to charge because free products make you happy, don't feel obliged too, but as more and more bloggers start to value themselves and the work they put in on behalf of brands, the more brands are going to take us seriously and stop thinking exposure is appropriate payment. I hope you enjoyed this post and that it's inspired you to start valuing what you do...oh and don't forget those Self-Employment forms when you start earning. This has always been something I'm a little unsure about, I don't really know based on my stats how much to charge or in which situations I should charge. I know it's all up to me in the end but I guess I don't feel like I know where to start.